Historically, my relationship with the madeleine, has always been a bit unhealthy. A bit “love/hate”. We have had tremendous times together, and many, many “difficult periods”. We started off with a bang – my first attempt at making madeleines was fairy-tale like. The lemon scented cakes emerged from the oven with a stupendous, glorious hump, and they fell out of the pan with just a light tap (perfectly, evenly browned). I just barely had enough self-control to split the bounty with my roommate at the time. And, then, just like that – things soured. Recipe attempts (the same exact recipe baked in the same exact – though crappy – oven) two thru seven (or was it seventeen) produced wildly varying results. My hump appeared and disappeared randomly. Some madeleines would refuse to leave the pan (even after extensive greasing) while others developed a strange tacky (er, sticky) texture. In short, madeleines are maddening. Over the past few years, I still made them semi-regularly, albeit with much less enthusiasm. Lately, I have a renewed vigor. My faith has been restored. 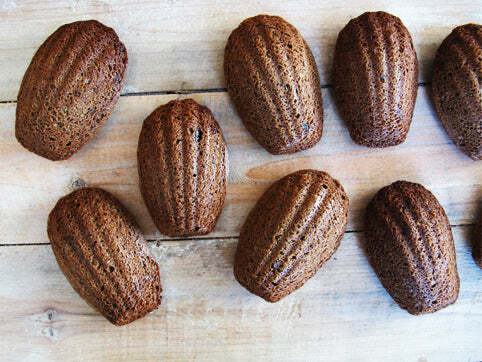 I am deeply, madly in love with madeleines again and I have David Lebovitz to thank. David’s new cookbook, My Paris Kitchen, is a love letter to his adopted hometown. It goes without saying that the recipes are amazing (hello butternut squash bread soup, naan au fromage, and…chicken lady chicken), but what really elevates this book is David’s sidebars, stories, and asides. I am in the process of committing his essay/how-to on madeleines, Methods and Madness, to memory. Oddly and completely randomly, I started reading David’s book in tandem with Edmund White’s Paris memoir, Inside a Pearl. Surprisingly, they make excellent companion pieces. 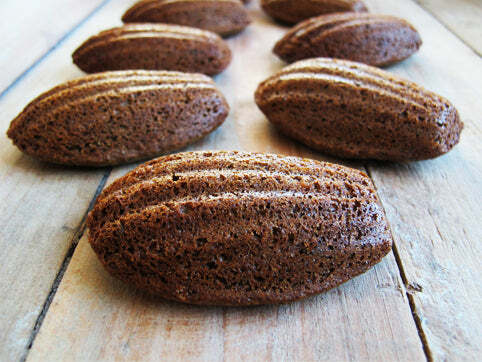 David’s recipe for buckwheat madeleines (made with browned butter) is fairly straightforward. It is also insanely delicious. If you aren’t sure if you like buckwheat, you just have to try it in this recipe. The flavor is hard to describe, but I’ll attempt (poorly): it is multi-dimensional and nearly savory. Some tasters describe it as “healthy-tasting”, but I worry about that connotation. Just go make these. Trust me. David does an amazing job of describing the ins and outs of madeleine making in his book. I won’t replicate it here (just go buy the book), but you will not get a hump on these guys due to the buckwheat flour. I would argue that madeleines have a very short life. I prefer to eat them within 15 minutes of baking (for the true, ethereal experience), but they are technically fine if eaten within the first few hours (dunk in coffee). I have the world’s ugliest, most-generic looking madeleine pan. I want a vintage one, but they aren’t as effective as they are beautiful. You really should opt for the non-stick variety to make life easier. David’s recipe uses roasted cocoa nibs. You can substitute mini chocolate chips, but do yourself a favor and track down cocoa nibs. They pair beautifully with the buckwheat. Melt the butter in a skillet over medium heat. Cook the butter until it’s the color of maple syrup and smells toasty. Remove from heat and set aside to cool. In a medium bowl, whisk together the flours, sugar, baking powder and salt. Stir in the egg whites and honey. 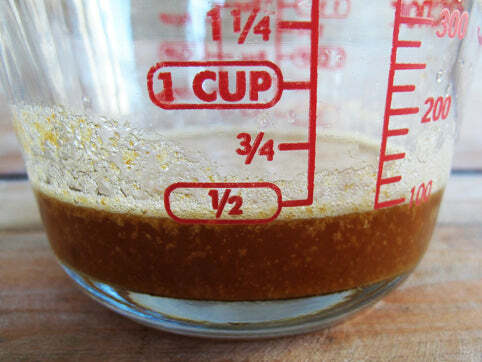 Stir in one-third of the browned butter; gradually add the rest of the butter, including all the dark bits, without scraping the bottom of the pan. Mix in the cocoa nibs, stirring until the batter is smooth. In two madeleine molds, brush the indentations with melted butter. 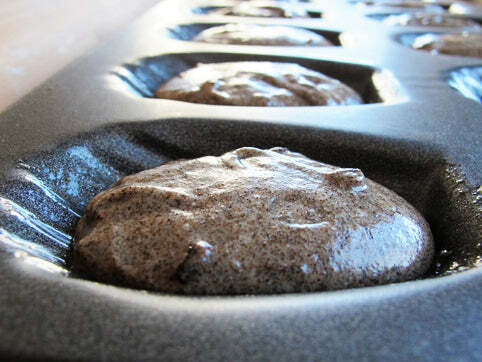 Fill the molds three-quarters full with the batter. Tap the pans gently on the surface to even out the batter, and bake for 9-10 minutes, until the spring back lightly when you touch them in the center. Because of the color of the buckwheat flour, color is not a good indication of doneness. Remove from oven, wait 30 seconds, then tip out onto cooling rack. 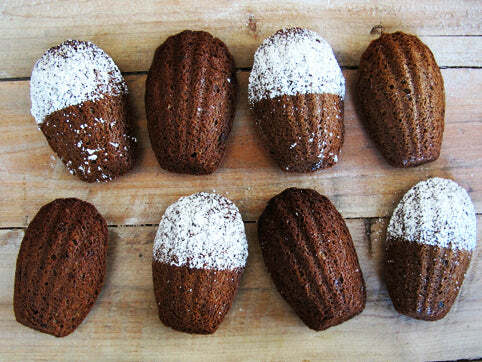 Madeleines are best eaten warm, or on the same day they are made.